LEGO isn’t just about the bricks. It’s also about the characters and the world they encompass, as well as the wonders created by their fans. 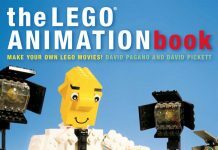 In that spirit, there is a world of LEGO books out there, from comprehensive guides to novels featuring the characters of original themes. Want to know more about the Elves universe? Do you prefer NEXO Knights? 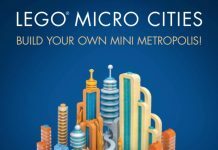 What about fun adventures with the City theme inhabitants? Firefighters, volcano explorers, or maybe even undersea shenanigans? LEGO has novels and magazines about these characters and other new adventures. This isn’t limited to their original productions either, as you can find Star Wars and more as well. Maybe you prefer a more technical approach? 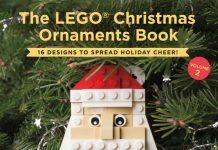 There are several books out there on LEGO design, with creative and educational content. From Christmas ornaments to complex robots, there is a world of information you can find in both print and digital format. 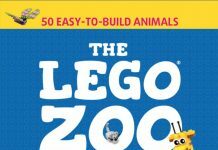 They are sure to inspire and educate yourself in this magical world of LEGO bricks. 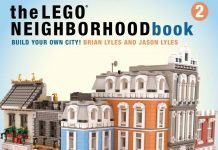 Art books and commemorative and historical accounts, activity and even sticker books add variety to anyone’s LEGO library. And beyond the official books, there’s a wealth of authors out there sharing their knowledge, tips and tricks, and much more. 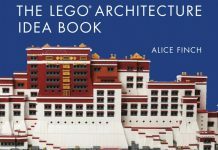 As part of our LEGO accessories section, we independently review LEGO-themed books, giving you insight into what you can expect from them and if they’re worth your time and attention. Fun fact: Many LEGO magazines and books often come with exclusive minifigures or builds that are often otherwise hard-to-find.